Raw Organic Sauerkraut from the heart of calderdale, West Yorkshire. Carefullly grown and prepared by a family run business we know and trust. Raw Sauerkraut is finely cut cabbage that has been fermented by various lactic acid bacteria, including Leuconostoc, Lactobacillus, and Pediococcus. 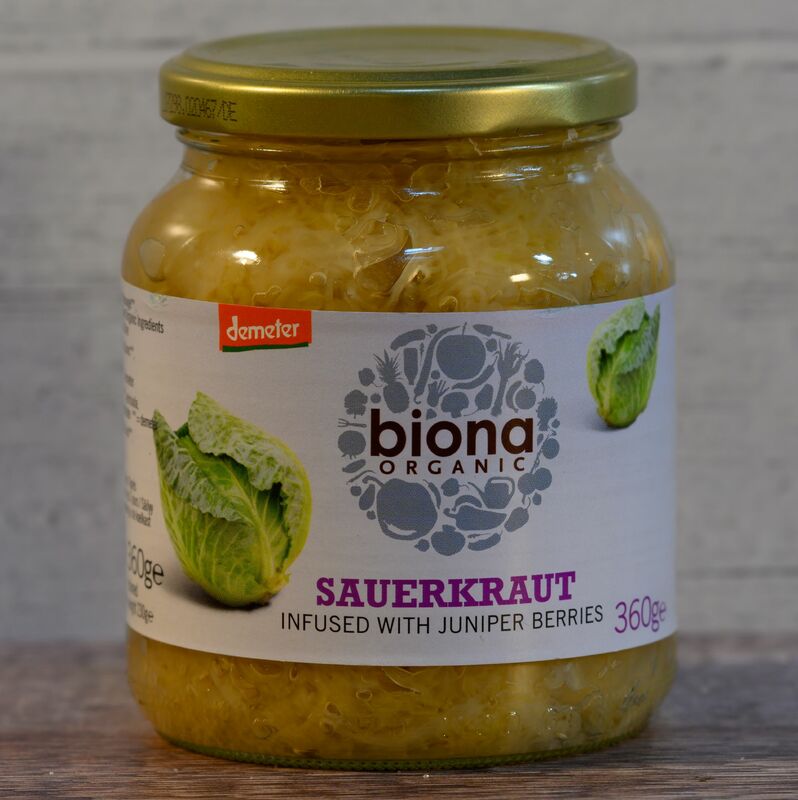 This organic sauerkraut is fantastic with boiled ham, in salads, sandwich toppers and is available in a variety of flavours. Did you also know that sauerkraut is translated as “sour cabbage”?